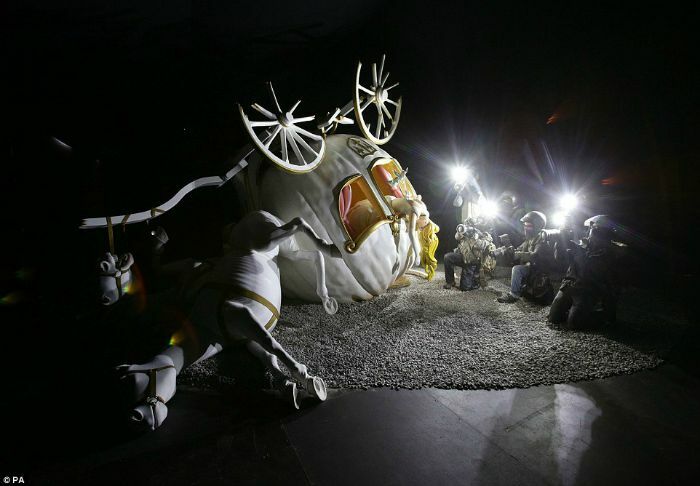 Just What Is Banksy's Dismaland 'Bemusement Park'? 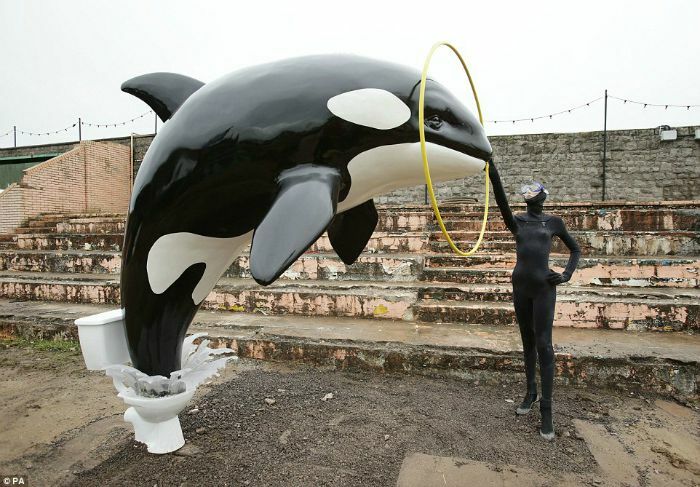 Just What Is Banksy’s Dismaland ‘Bemusement Park’? 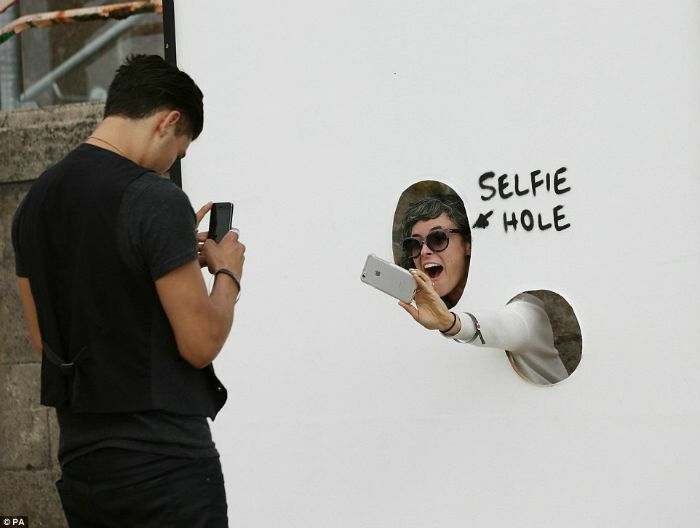 Most people know the anonymous Bristol-based artist Banksy for his satirical graffiti work, but his latest project is something altogether very different. 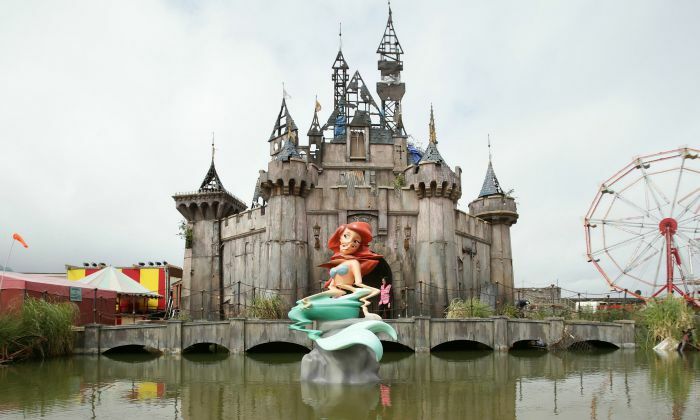 A 2.5-acre nightmarish art show, or “Bemusement Park”, in the seaside town of Western-super-Mare, Dismaland is a “family theme park unsuitable for small children, an art show for the 99% who’d rather be at Alton Towers,” according to the man himself. It’s a very biting look at modern day culture, politics, and media, situated in a former lido, the Tropicana, but is also a way of showcasing artistic talent. The park features 58 handpicked artists, including big names such as Damien Hirst, although you won’t find too many watercolours on display. For example, writer and former NME scribe Julie Burchill has contributed a Punch and Judy show, but has controversially given it a Jimmy Savile twist. Another installation by Jimmy Cauty, formerly of acid house band The KLF, is a model village, which sounds perfectly innocent until you realise it’s actually a village post-riot and is full of 3,000 riot police. Perhaps one of the most controversial ‘installations’ is a tent where people can learn how to break into the Adshel posters you find at bus stops and replace them with their own posters. A mere £5 will get you the tools you need to actually do it. Apparently it’s “not illegal”, although we would of course not encourage such behaviour! Nearby to that you’ll find the “pocket money loans” shop, offering money to children with an extortionate 5000% APR, an obvious take on the current absurd payday loans culture. A small trampoline is available for children to jump on to try and read the incredibly small print. 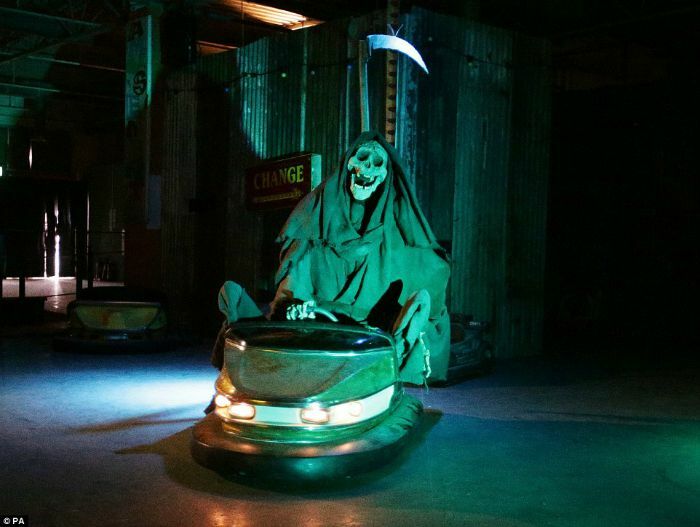 There are then some more ‘traditional’ attractions, including a somewhat rundown take on the famous Disney castle, the Grim Reaper riding the dodgems and a sculpture by Banksy himself of a horrendous crash scene featuring Cinderella’s pumpkin carriage, whilst photographers snap away furiously. Worried it’ll be a bit cold by the sea? Well why not warm yourself up at the Jeffrey Archer Memorial Fire Pit, a daily burning of the local author’s books? Or have a picnic overlooking the scenic boat pond, complete with vessels overcrowded with asylum seekers. There are plenty of light-hearted parts of the park, however, including back-of-your-head caricaturists and “I am an imbecile” balloons on offer. Even the staff are part of the act, all of whom appear purposely depressed in their pink hi-vis jackets. Very few people knew the exact nature of the project, including only four people at the local council. Locals were led to believe the construction was part of a set for a film, with staff recruited by advertising for film extras. Its taste may be a little offbeat for some, but it’s said that the park will raise up to £10m for the local economy. Banksy fronted the money for the park himself, although it’s unclear how much money he will earn from it. Dismaland is running until the 27th September with tickets available from the official Dismaland website. 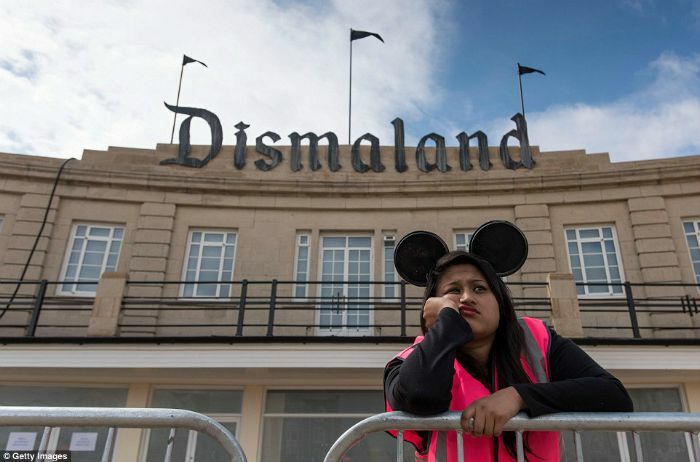 What do you think of Dismaland? Have you been? Let us know your thoughts in the comments below.